The Nebraska Synod Journey is a six-day experience held during the summers when there isn’t an ELCA Youth Gathering, and it’s open to youth who have completed grades 8-12 along with their adult leaders. 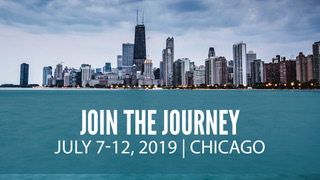 The next Journey will be held July 7-12, 2019 in Chicago. Journey participants will leave the Omaha area at 2pm on Sunday, July 7 in motorcoaches and travel east to serve in the Chicago metro area, learning from our neighbors there about how God is already at work in the community. Onsite partners in the city will include people from the Churchwide expression of the ELCA and staff of the Lutheran School of Theology in Chicago. Presiding Bishop Elizabeth Eaton will be part of Journey conversations on the afternoon of Wednesday, July 10. Participants will be housed at the J. Ira and Nicki Harris Family Hostel downtown. On one day of the Journey, each group will choose one excursion from various options in the Chicago area. No-cost options will be available, and some excursions may incur additional charges not included in the registration fee. Registration for the Journey is now closed. · The remaining balance is due March 1, 2019 and must be paid with one check per congregation and mailed in with a copy of each participant’s registration form. Groups who do not pay their balance by March 1, 2019 will risk the cancellation of their registrations. · Please register your group when you know who will attend, as we cannot accept placeholder names as a registration (for example, “Youth Female 1” or “Adult Male 2”) in order to qualify for early bird or regular registration rates. · Most sleeping rooms will house 8-10 people in bunkbeds, and Journey planners will assign participants to sleeping rooms. An adult leader with specific requests for roommate assignments for youth should email Lisa Kramme by February 28, 2019. · Space is limited, so please register early. *Each ADULT participant must complete a Volunteer Screening Form (see link below) and return it by June 1 to Lisa Kramme at 6757 Newport Ave., Ste. 200, Omaha, NE 68152 OR lisakramme@nebraskasynod.org. *Bring your hard copy of participant registration forms on the Journey so an adult leader from your group can have them available for emergency purposes. *Need to make changes after you’ve registered online? For CANCELLATIONS, email Lisa Kramme the name of the person cancelling. Requests for refunds were only honored if emailed to Lisa Kramme by March 1. If you are wanting to SUBSTITUTE one person for another, email Lisa Kramme the name of the person canceling and the name, gender and t-shirt size of the substitute being added and whether that person is a youth or an adult. Substitutions may be made until June 10, 2019 but a new person is not guaranteed a t-shirt of their size after March 1.